Christina and Nehme Elbitar own Chadra Mezza and Grill in Fort Worth. The lunch buffett at Chadra Mezza and Grill. A Fort Worth business owner is working tirelessly to make sure her employees don’t fall over the financial edge. She makes it her mission to employ, educate, and embrace each and every one of her staff members. It's the story of a boss turned life coach. Chadra Mezza is a busy Mediterranean restaurant in Fort Worth. Christina Elbitar and her husband Nehme own the place. They have a second restaurant and catering company, too. Keeping all that food moving takes a lot of people, about 50 employees. And Elbitar isn’t your typical boss. “I find myself in a coaching situation a lot,” she says. When she says coaching, she means life and financial coaching. Many of her employees come from low-income families and are trying to work their way through college. Most still live at home and help pay bills. So Elbitar does the best she can to teach them how to manage money. Her banker was a big help. Another big issue is transportation. Elbitar says broken down cars are a constant reality for her employees. She encourages staffers to take the bus, but doesn’t expect them to walk in the dark. “Sometimes we’re here until after 11, especially on weekends. And we drive people home," Elbitar says. She also shuttles employees to doctor’s appointments and has even sprung for textbooks. 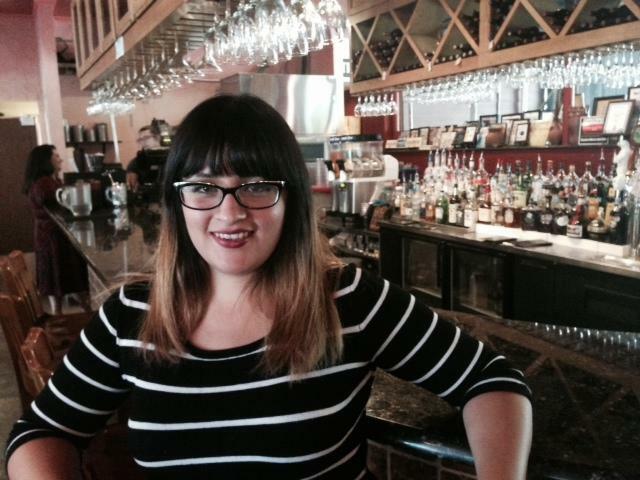 Lizeth Garcia has been working as a waitress at Chadra Mezza for eight months. Lizeth Garcia has been on the receiving end of that type of kindness many times. She’s been a server at Chadra Mezza for eight months. She’s also the mother of a two-year-old and an art major at Tarrant County College. Elbitar always arranges Garcia’s shifts around school and childcare: Letting her be a mom and student first, and an employee second. When Garcia was able to finance her first car, she says Elbitar was beaming. "She makes you feel important, and like your accomplishments are also important to her. And that’s really special," Garcia says. Elbitar doesn’t believe in keeping her personal life and work life separate. She says it makes more sense to retain happy employees than constantly fire and re-hire. At Chadra Mezza, staffers might argue things are already pretty good.